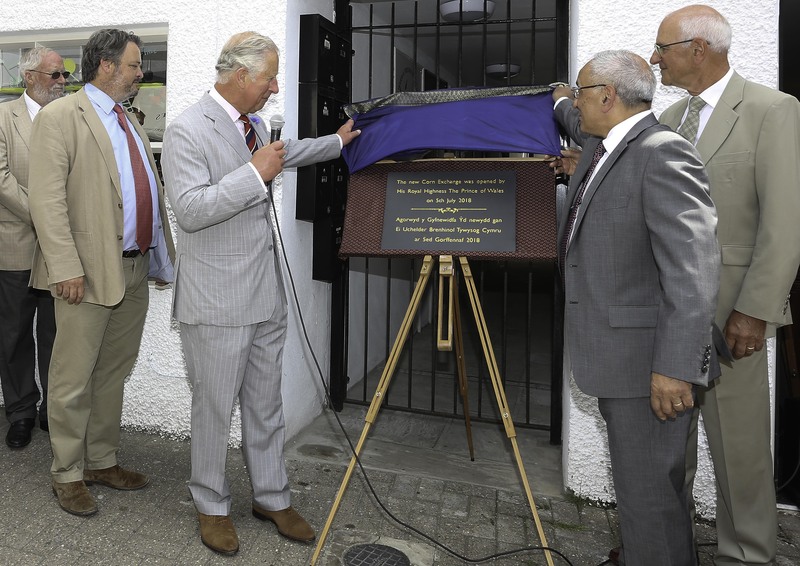 Two new plaques have appeared on the front of The Corn Exchange – one which was unveiled by The Prince of Wales during the official opening earlier this month, another which tells the story of The Corn Exchange project. 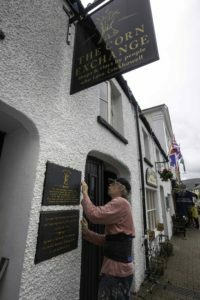 The plaques were fixed to the building by Dave Harries, who was pictured outside the building during the original protest to stop a supermarket three and a half years ago. 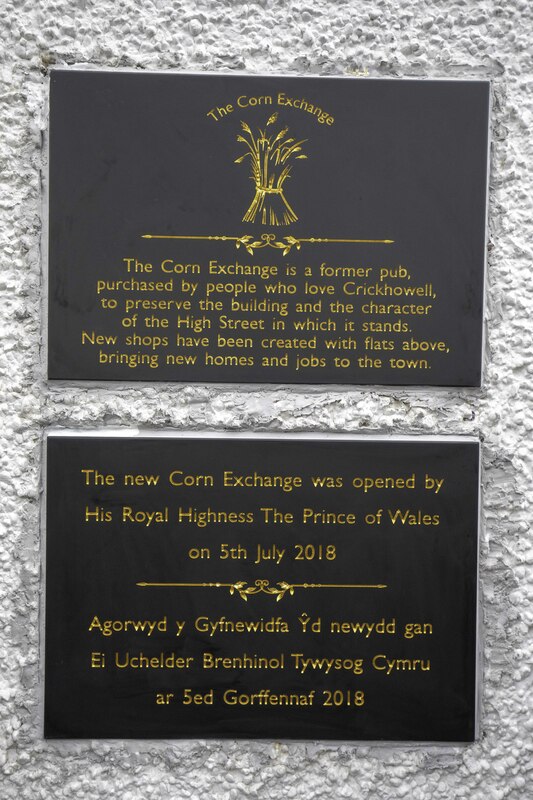 Corn Exchange Crickhowell Ltd’s Managing Director, Dean Christy, said:” It seems entirely appropriate that Dave should be able to put the finishing touches to the building, having been there at the very start”. 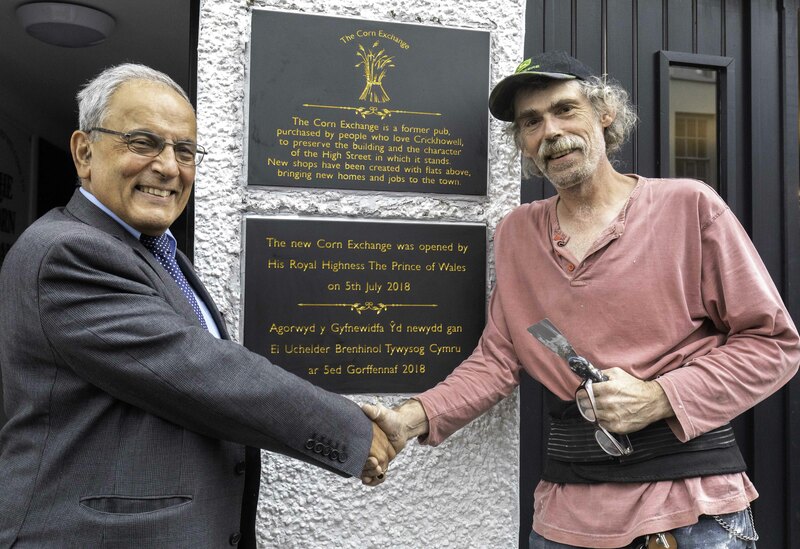 Corn Exchange Crickhowell Ltd’s Managing Directior, Dean Christy, with Dave Harries. 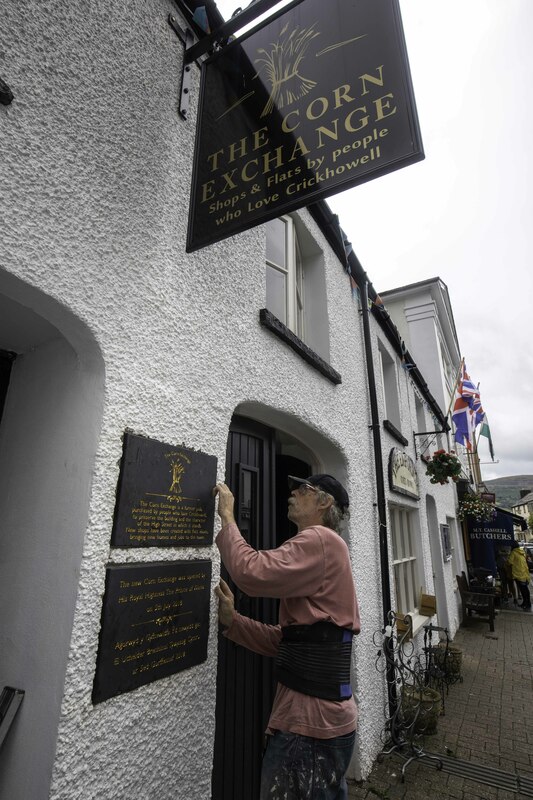 Dave Harries fitting the plaques. 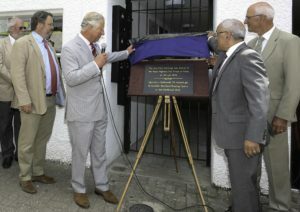 The Prince of Wales unveils one of the plaques. 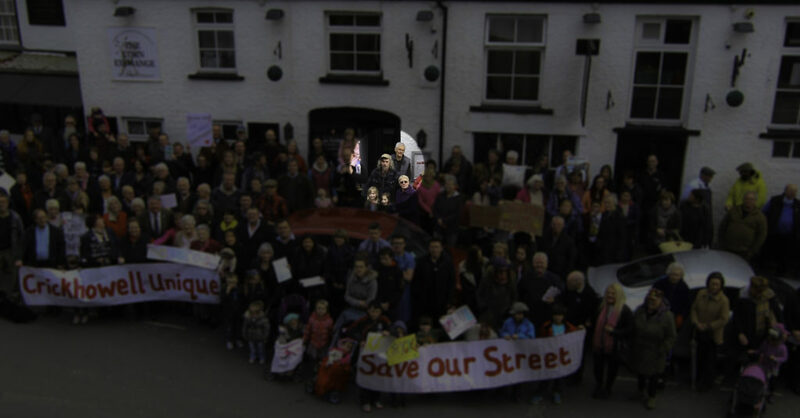 Dave Harries in one of the original protests against a supermarket.